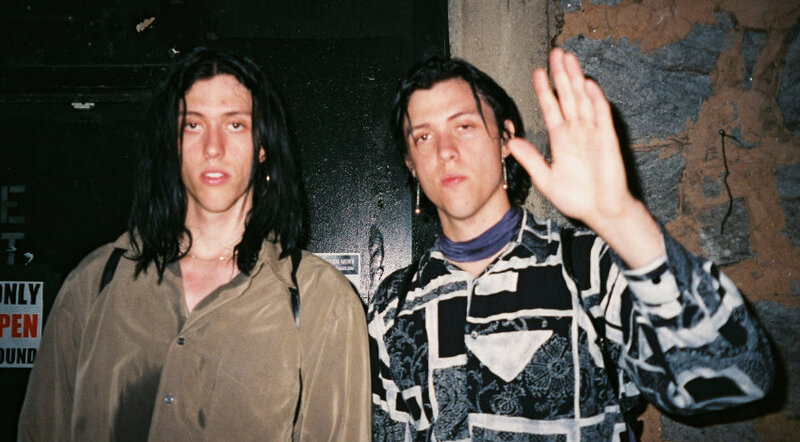 Hailing from the OC, beloved neo-punk twins Wyatt and Fletcher Shears, better-known as The Garden, graced the stage at Auckland’s Whammy! Bar last Saturday, supported by kiwi acts Dbldbl and CINDY. The venue seemed to be stretching at the seams due to the sheer volume of fans’ flailing bodies. Some fans arrived dressed in Garden-esque makeup with some in full jester costume, proving their Kiwi fan-base may have been slightly underestimated. The Garden delivered their self-invented ‘Vada Vada’ sound in full-force, bursting onto the stage with “Clay” and “All-Access” and later following with mental robotic tune “U Want the Scoop?”. It was as if you could physically feel the love for the unique, tongue-in-cheek style of The Garden twins in the air as they played their high-energy set that pulled-no-punches. Sound-bites of dogs barking and laughter echoed in between songs as they and continued with tunes from their newest album Mirror Might Steal Your Charm, which included grunting with the crowd during “:(“, “Call the Dogs Out”, and a dreamy delivery of “No destination”. After a sincere encore chant, the Shears jumped back out with impressive energy to encore to an absolutely buzzing crowd with melodic “Egg”, which dabbles in the use of piano and demonstrates their unconventional sound. The Garden left the stage swiftly, leaving the remnants of their high-octane set, infectious energy and dark humour lingering amongst the crowd. 9/10: Emoticons are still thriving!